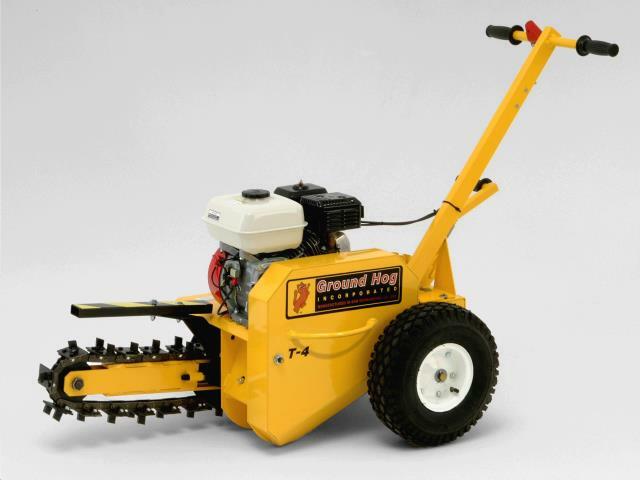 The Ground Hog T-4 Trencher is a small, operator propelled, chain-type trencher designed for jobs requiring up to a 18 inch deep trench. Heavy gauge powder coated steel is used throughout the T-4's construction as well as tapered roller bearings and double-row ball bearings to ensure trouble-free service. Over 60 years of experience in the Rental, Construction and Landscape industries has produced a design that is very durable and easy to maintain, which leads to a fast return on investment. 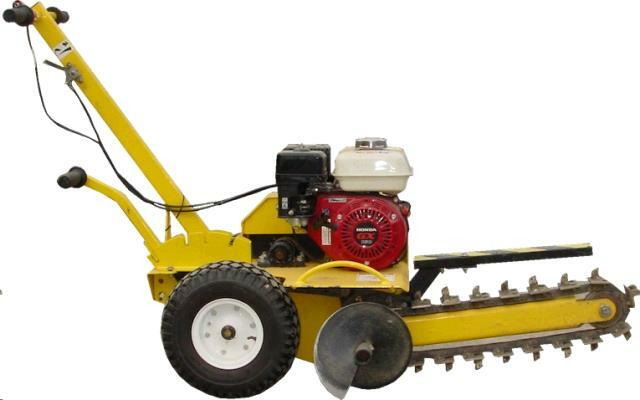 * Please call us for any questions on our mini trencher 3 inch x 18 inch rentals in Santa Ana and Orange CA.